Coach Dennis Hurla appreciates his time at Bishop Ward, and is honored to be entering the Hall of Fame. 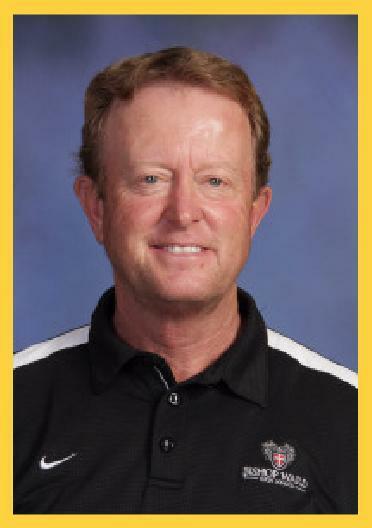 He began his Head Baseball Coaching career at Bishop Ward High School in 1997, and on April 10, 2012 Coach Hurla won his 300th baseball game. When you mention Coach Hurla’s name, anywhere in the KC Metropolitan area, people stop, and listen. Because in this town, it is known as “Hurla Ball”. Coach Hurla’s familiarity with Bishop Ward started long before his coaching days. His Mother, Dorothy graduated in 1946. His five siblings graduated from Bishop Ward as well as an Uncle, and 35 cousins! Born and raised Catholic, Coach Hurla understands the impact of being Catholic had on his youth, and even more so today as an adult. Coach Hurla has two sons, Tony and Andy. When asked about the impact he made at Bishop Ward, Coach Hurla stated that he was just a small part of 110-year history of the School that He just wanted to contribute and have a positive impact. We would say his impact on the School and those he coached is still unwavering today. As baseball coach, His teams won 10 State titles. Set 4 single-season State records and 3 State qualifying records, including his 45 game winning streak! His record is 352-135-1, with a postseason record of 95-11. Off the field, Coach Hurla’s impact at the School as Facilities Director has made a lasting impression. He oversaw many improvement efforts to Dorney Field through an NFL Grant, Don Denney Press box, locker renovations, baseball field renovations, cafeteria, auditorium and many other notable projects that make Bishop Ward High School the gem it is today. Coach Hurla contributes his success to family and surrounding himself with good people. "Combine that with hard work and good fortune and the good Lord looking over me." Michael James Peterson was born on September 18th, 1941 in Kansas City, KS. He grew up in Kansas City, Kansas in the St. Peter’s Cathedral Parrish. Mike’s father, Joseph, was instrumental in forming his disciplined core values, his driven desire to excel and his fierce loyalty for family and friends. Mike went on to Bishop Ward High School and developed into one of the greatest athletes in the area. Under Coach Don Stump, the other man who influenced Mike, he was able to attend Notre Dame University on a full ride football scholarship. An injury during his sophomore year cut his time in South Bend short, but this led to his great love, Roberta Novak. They were married in September of 1963. Mike then attended Northwest Missouri State. After graduating in 1965, Mike passed up on playing in the NFL and attended Law School at UMKC. He taught and coached at Rockhurst High School until 1969 and then started his law practice. By 1973, Mike and Robin had 5 children, Anita, Ann, Margaret, Joe and Molly. The 70’s brought Mike back to coaching. From 1973 to 1983, Mike coached St. Peter’s Cathedral and compiled an 84-4 record and 10 championships. The respect they had for each other are still as strong as ever, even in his passing. During the 80’s and the 90’s, Mike and Robin watched as their children grew up, competed in athletics, graduated from college and started having families. Mike also developed into a respected lawyer, political leader, State Representative and member of many civic organizations. Mike was very generous with the less fortunate, legally assisting them many times for no payment. He has been quoted as saying he was blessed with so much it would be sinful not to give to those with so little. If one were to ask Mike about his greatest achievements, he would immediately respond his family. He and Robin were committed, in good times and bad, to the preservation of a strong, loving family. To this day, all five of Mike’s children, grandchildren and great grandchild still live in Wyandotte County. They frequently gather together as a family and celebrate his incredible life. Larry is a second generation Bishop Ward High School graduate as his mother, Loretta Jessee Ward graduated in 1926. Following graduation from Bishop Ward he attended Donnelly College and received both a BBA and JD from UMKC. He spent 55 years trying cases and arguing appeals in both State and Federal Courts across the country as a member of Shughart Thomson & Kilroy and Polsinelli PC. He served as Chairman of the Board of Directors at Shughart Thomson & Kilroy for 20 years and as Chairman Emeritus of Polsinelli PC for 5 years. Larry is a Fellow of the American College of Trial Lawyers. He has received the Lon O. Hocker Memorial Trial Lawyer Award and the Purcell Professional Award from The Missouri Bar. He also served as President to the Kansas City Metropolitan Bar Association and a member of the Board of Governors of The Missouri Bar. 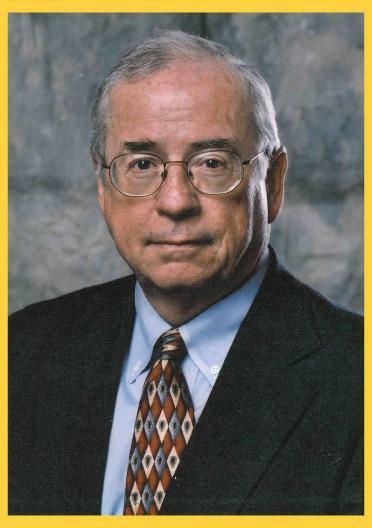 He served four (4) year terms as an elected member of the Circuit Court Judicial Commission for the Sixteenth Judicial District and for the Missouri Appellate Commission for the State of Missouri. Joan Gannon Ward and Larry have been married for fifty-eight years and have been blessed with five children: Cynthia, Stephanie, Christopher (1968-1976), Colleen, and Robert Emmet. Than have eleven grandchildren in four states who range in age from 23 to 4. Joan and Larry have been members of St. Thomas More parish since 1972. 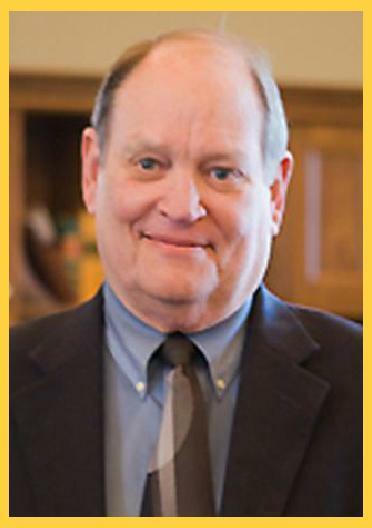 Larry is a former member of the Board of Directors for Donnelly College and is active in The Serra Club of Kansas City. Both are active workers for Seton Center.